Urethane Tube Springs – High Durometers! Urethane tube springs manufactured by Plan Tech have been proven to be the best, offer the safest and are more reliable over conventional tube springs. We specialize in producing tube springs of various lengths, sizes, durometers, and colors. 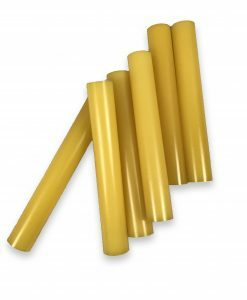 Plan Tech also offers custom-made polyurethane tube springs to meet your specific needs and requirement. Urethane tube springs are suitable for stamping, drawing dies and punching proving to be the safest, reliable and most efficient compression material. There are multiple types of rubber tube springs manufactured by Plan Tech. These include the disc springs, the compression springs, and the die springs. Urethane tube springs are important for storing energy, reducing shock or impact and counterbalancing a weight or thrust. UV Protection Urethane Additives: Ferro is a leading global supplier of ultraviolet UV protection technology-based functional coatings and color solutions in urethane products protecting color pigments for urethane industries that are heat stable, lightfast, and chemical and weather resistant. Are you interested in cast Urethane Tube Springs? Please Contact us so we can help solve your requirements and work with you on your specific application!